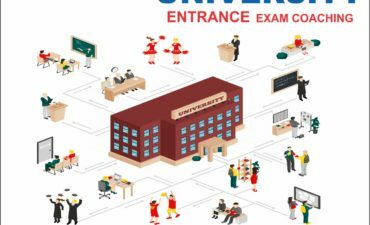 Online Mock Test for UGC NET 2019 Exam,UGC NET Exam Pattern and Strategy,Best Test Series for UGC NET Paper 1 2019,UGC NET Paper 1 Online Mock Tests,NTA UGC NET Practice Online Test Papers,UGC NET Paper 1 Mock Test Series,Test Series for UGC NET 2019 exam,UGC NET 2019 Test Series,NTA UGC NET Online Mock Test Series,Online Mock Test Series for UGC NET 2019 exam,Best Test Series for UGC NET 2019 exam,UGC NET 2019 Best Test Series. TCS ACADEMY Offers Comprehensive Online Test Series for UGC NET 2019 Paper I & II,It will also help you understanding your mistakes. You may analyze the same and move on to the next mock.Solve Tcs Academy Online Question papers for NTA UGC NET: This will be immensely helpful since you will get the first hand idea of the type of questions that come in this examination. However this should be done once you are done with the syllabus. This will help you check your preparation also. Now that we are well aware of the syllabus of the NET Examination and its pattern, it is time that we focus on the right strategy to prepare for the examination. Now that the examination is hardly a month away, all of you must be busy giving finishing touches to your preparation. In order to help you in this final round of preparation, Tcs Acdemy, the least priced, smart Test Prep platform in Lucknow (U.P) India, brings to you the Comprehensive Test Series for Paper I & II of UGC NET 2019. Tcs Academy Online Mock Test Series of UGC NET 2019 Program will consist of 30 full-length tests for Paper I of UGC NET 2019 along with detailed solutions and smart analysis. This will help in proper understanding of your preparation along with the SWAT Analysis. Focus on Paper I also: There should be equal focus on both the papers since you need to keep a balance between these papers. You may think that you will manage with your knowledge in your subject but you can’t always rely on it. That is why it is safe to focus on both the papers.